Rubbish at recycling that is. I really should try harder, do better. After all, we have a wealth of recycling facilities to hand. Colourful plastic boxes stacked up by my side gate. Cardboard, glass, plastic bottles, food waste, garden waste can all be dealt with. And, as if that wasn’t enough, a short drive takes me to a clothing bank which sits next to a shoe bank, which sits next to a paper bank. I really need never throw anything away. Everything has its value, even rubbish. Our planet depends on it. Good for the environment. Good for mankind. That’s the message that is rightly drummed into us. Into our children. A world apart from my upbringing when the only thing that was recycled were milk bottles. Oh and Corona bottles, if you could afford them. 10p back in return wasn’t it? I have a very large bin. Because of Hazel’s medical equipment it is larger than the average family wheelie bin. I don’t always have time to sort the rubbish. I know I should but I don’t. My bin swallows it all up. Gone. In an instant. I forget about it. But I guess there will be a consequence – if not directly for me then for the planet. Further down the line. Of course there will. I try not to think about it. In our recycling obsessed culture, I am rightly looked down on for throwing away my ‘rubbish’. That’s not rubbish, they say. That is of value. It is worthy to be kept. Not trashed. They are correct. And yet this same society has also deemed what is rubbish and what is not when it comes to people. Life. 90% of babies (found prenatally to have Down’s syndrome), foetuses, cells, call them what you like are deemed rubbish. I’m sorry, they say. Just a bunch of cells they say. A foetus; and a faulty one at that. Not important. It won’t amount to much. Too costly. Bin it. Forget about it. Save yourself the trouble. It’s your right. Even if it’s just about to be born, they say, we can deal with it. (Yes really). Try again. There is nothing more precious than life itself. So why are so many people wanting to trash it? Chuck in the bin, forget about it, move on. It is beyond painful to acknowledge that there are many many people who would rather Hazel, and others like her, didn’t exist. They would rather she had gone in the bin. Incinerated. They say her life is of no value. Who made them judge of this? And, with a new non-invasive pre-natal test (NIPT) now available on the NHS, bin day can come around even sooner. But I guess there will be a consequence – if not directly for them, then for humanity. Further down the line. Of course there will. But they will not think about it. 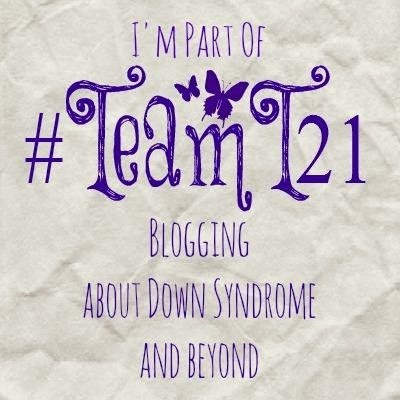 Categories: Abortion, Down Syndrome, Down's Syndrome, Prenatal Testing, Trisomy 21, Uncategorized | Tags: #dontscreenusout, #downsyndrome, #NIPT, #Team 21, #team21, #Trisomy21 | Permalink.